When James Brown died on Christmas Day 2006, record companies rushed to do their usual thing-each of his former labels repackaged the music they owned by the artist and issued it with a new cover. One of the more unexpected collections was called James Brown Jazz. This title brought back unpleasant memories of Jimi Hendrix’s troubled posthumous recording legacy, and how his former producer tried to champion Hendrix as a frustrated jazz guitarist on releases like Nine to the Universe. Or, even less likely, those who said that the Allman Brothers Band would have become jazzers had guitarist Duane not died. I bought James Brown Jazz but didn’t play it much until recently, when I encountered Brown’s new biography The One (Gotham Books). In it, R.J. Smith shows the diverse elements that made up James Brown: R&B, funk, gospel and grit; hard-driving grooves and heartbreaking ballads. These, and more, were all a part of Brown’s bag. Regardless of form, at no time was his sound indistinctive. 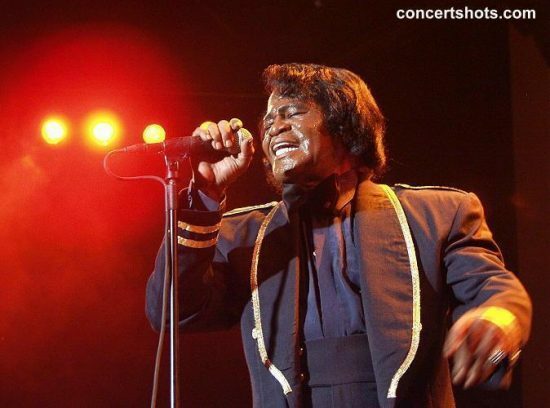 Whether hearing “King Heroin” or a Christmas hymn, you immediately knew this was James Brown working the room. He was incapable of aural anonymity. But jazz? As the CD title says so clearly, this is James Brown Jazz, the genre as seen through this performer’s unique musical lens. He solos repeatedly on organ during these largely instrumental Smash and King tracks of the 1960s, as do other Brown veterans. 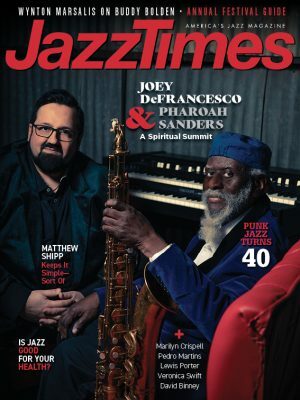 In a telling side note, when the James Brown Jazz CD is called up on the All Music Guide site, in the “similar albums” category are releases by Wes Montgomery, Joe Sample, Jimmy Smith and Ray Charles. I can’t argue. Brown’s connections to jazz (on his own terms) are just one part of what makes The One so worthwhile. Smith is unafraid to examine the little-known aspects of his subject’s life, some of which are far from flattering. Physical abuse and unyielding dominance was business as usual for Brown, both on and off the bandstand. But so was an extraordinarily community-minded outlook and unflinching generosity. Smith does an excellent job of appealing to a wide audience in this book. Tales of relentless touring are here, as is an in-depth examination of the mid-century America society that produced this artist. The impact on Brown of high-level politics, stateside protests and foreign entanglements are given appropriate time. The description of Brown’s successful insistence to play for American troops in Vietnam is a highlight of the book. Smith also shows the performer thrust into various unrequested roles during this era, from the prime peacekeeper in Boston on the night of Martin Luther King’s assassination, to a wary political endorser of Hubert Humphrey’s 1968 presidential bid. Not surprisingly, both of these tasks were accomplished on Brown’s own very specific terms. It is, however, Brown’s music that remains at center stage. Smith offers detailed analysis of rhythmic intricacies and discussions of the musical amalgams that Brown utilized throughout his career. These passages are useful in appreciating how Brown created his specific sound, which was almost always more important than his specific songs. James Brown was fixated on his own physical appearance but was even more obsessive about the perfection of his music. Smith describes how Brown built his stage show element by element over several years, discarding what didn’t immediately connect with the audience, cultivating what worked. He knew the importance of his set’s musical structure, but also knew that this was a show! Stage performance was a critical element to the James Brown experience, with the most important visual being the excitement generated from Brown’s dancing, along with his cape-clad, exhausted exit from the stage each night. Brown’s battle with King Records to release Live at the Apollo is fascinating and frustrating by turns, as is Smith’s portrait of the small record label business world. The artist’s struggles to connect and then desperately re-connect with the black audience are recounted, as is his relentless determination to remain in control. For example, fearing that he could become too dependent on a single person to play a gig, he sometimes carried five drummers with him on the road! That Brown succeeded on the level he did was no accident. A portrait emerges from Smith’s clearly written narrative of what truly must have been “the hardest working man in show business,” no matter what the genre. Jazz music is not the primary legacy of this performer, but The One makes the reader believe that very few things were beyond the reach of James Brown.